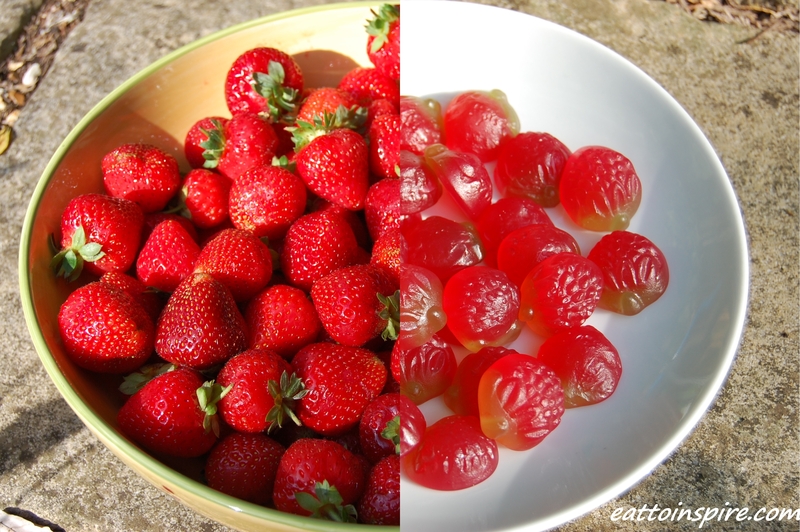 Here is a simple snack swap for you to try out. 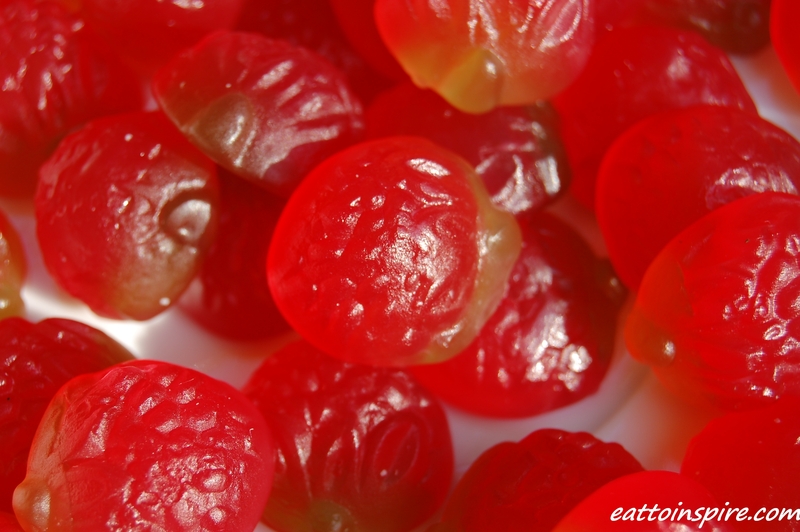 Instead of having strawberry flavoured candy, why not go for the real thing? 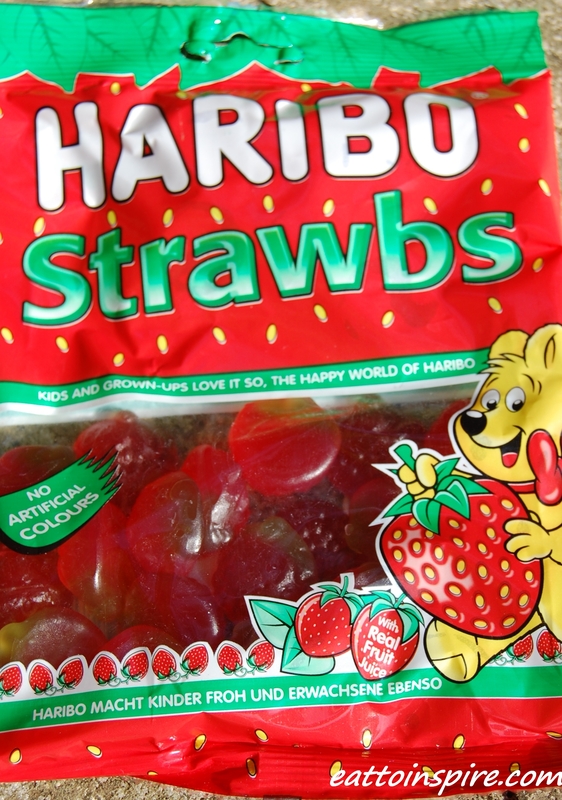 Ingredients; Glucose syrup, sugar,modified maize starch, gelatine, citric acid, strawberry juice from concentrate (2%), flavourings, fruit and plant concentrates (aronia, blackcurrant, carrot, elderberry, grape, apple,kiwi, nettle, spinach), colour (copper complexes of chlorophyll), glazing agents (vegetable oil, beeswax, carnauba wax), stablilser (xantham gum), invert sugar syrup, fruit extract (carob). 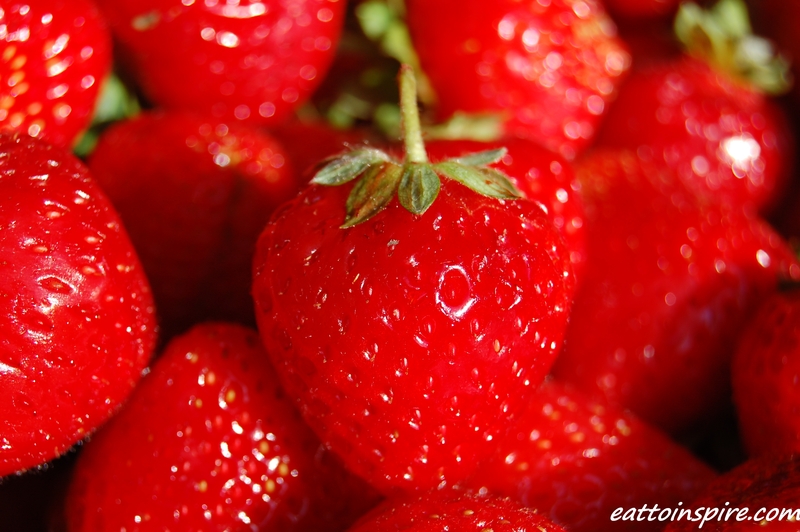 Strawberries also contain a vast array of vitamins and minerals required for optimum health. 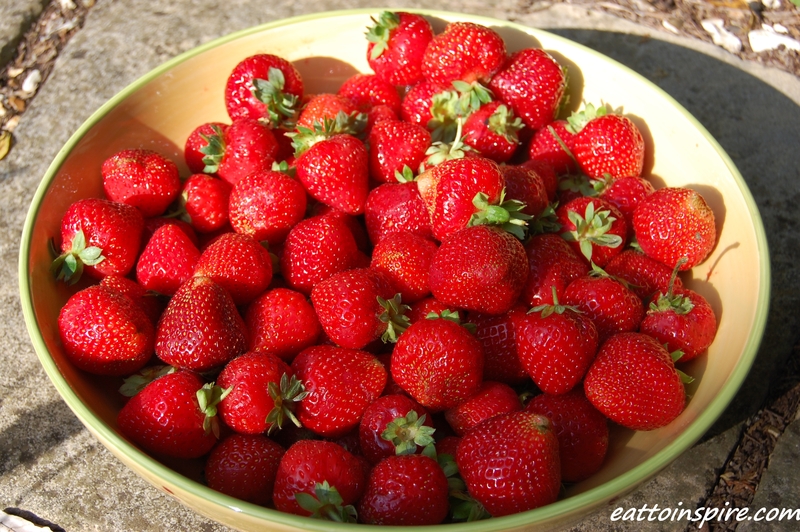 Strawberries are rich inf iron and vitamin C. They are also a good source of dietary fiber which will keep your bowels clean and help to keep you feeling full for longer. Think before you snack and always try to opt for a whole foods option. Remember that a whole food consists of four elements; vitamins, minerals, carbohydrates and fiber. You will experience many benefits by substituting processed sugary snacks with abundant whole foods, such as improved energy and better mental focus.